The Occupational Safety and Health Administration (OSHA) ensures safe and healthy workplace conditions in the United States by developing and enforcing safety standards and regulations and providing training and outreach programs. With the start of 2019, OSHA implemented new and updated guidelines aimed at further improving worker safety and safety-management efficiency. Revised crane operator certification requirements, increased civil penalties, and amended injury recordkeeping regulations are among some of the changes to OSHA requirements that started on or shortly before Jan. 1, 2019. The OSHA changes come as the Bureau of Labor Statistics unveiled data that showed workplace injuries and deaths decreased in 2017, the most recent data available. Even with the progress, the impetus is on safety professionals to remain alert and aware to needed changes in workplaces to keep employees safe. Working as a safety manager means not only staying up to date with the latest OSHA requirements but also thinking steps ahead. Graduates of Eastern Kentucky University’s online emergency management degree program learn essential skills to implement occupational health and safety rules and regulations that protect workers and enact new OSHA rules. Every year, OSHA revamps some of its standards and requirements based on industry demands, community needs, and new evidence to support necessary changes. Some of the changes happened at the beginning of the fiscal year, which started on Oct. 1, 2018, and others at the beginning of the calendar year, on Jan. 1, 2019. In late December 2018, OSHA finalized its new crane operator qualifications and certifications safety requirements. The new rules establish operator qualification and certification provisions that employers must follow for safe crane operations. The requirements include a combination of formal and practical instructions to help operators develop skills and knowledge related to crane operations, the ability to recognize and avoid risks, and ongoing monitoring of the operators-in-training to ensure equipment expertise. Employers must also ensure crane operators are qualified by requiring them to demonstrate necessary skills. Hank Dutton, a senior technical specialist for risk control at Travelers Insurance, told the Engineering News-Record that the new rules could prompt more people on site to learn more about evaluating new operators. Companies with 250 or more employees are no longer required to electronically submit injury and illness data from forms 300 and 301 (Log of Work-Related Injury and Illnesses and Injury and Illness Incident Report, respectively). Instead, they would be required to submit data from form 300A (Summary of Work-Related Injuries and Illnesses). The new rule is expected to take effect in June 2019. On Dec. 10, 2018, OSHA proposed revisions to the beryllium standard for general industry issued in 2017. The proposal rolls back some reporting requirement for companies that have workers exposed to beryllium, a durable but lightweight metal that is used in cell phones, aircraft, and missiles. It is highly toxic if mishandled. The final ruling on the proposed changes will be determined in mid-2019. OSHA has the authority to begin new safety standard procedures through its initiative or in response to a request. If the agency determines new safety standards are needed it calls on one of several advisory boards to develop specific recommendations. The committees have members representing management, labor, and state agencies, among others. Suggestions for new or revised standards may also come from the National Institute for Occupational Safety and Health (NIOSH), which conducts research on occupational safety and health concerns. After new or revised standards are developed, OSHA publishes the proposed changes in the Federal Register with specific time frames (usually 30 to 60 days) for the public to respond. OSHA then reviews the responses and reports a final determination in the Federal Register. Safety managers are responsible for understanding the process and implementing new OSHA rules and updated standards. 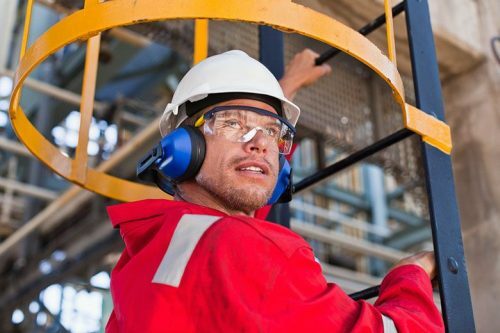 Through Eastern Kentucky University’s online master’s degree, students study and analyze OSHA regulations, legislation, and mandatory compliance to prepare for work as safety specialists. EKU’s online emergency management program allows students to customize their graduate degree experience with a Multidisciplinary Track or concentrations in Corporate Security Operations, Occupational Safety, or Emergency Management and Disaster Resilience. The concentrations are also available as stand-alone graduate certificates, independent of a master’s degree. Graduates are eligible to immediately apply for the Associate Safety and Health Manager (ASHM) certification. When graduates have two years of safety and health management experience, they are eligible to take the Certified Safety and Health Manager (CSHM) exam. This fast-track option reduces the waiting period by three years. EKU is accredited by the Southern Association of Colleges and Schools Commission on Colleges. For more information, contact Eastern Kentucky University now.